In the past 50 years, American artist Lynn Hershman has been continuously creating a pioneering body of works in drawing, videos, collage, performance, installation, site-specific art and recently digital technologies, interactive web-based works, Bio Art, etc. She has largely been ignored and disregarded for decades but her work in all her different media has proven remarkably ahead of its time. It is only in recent times when her works started to gradually attract wide attention in the United States and Europe. ShanghART Singapore is pleased to announce Lynn Hershman’s first solo exhibition in Asia – Alter Ego (Roberta Breitmore Series), showcasing her best-known series created from1973 – 1978, giving the audience here an opportunity to better understand the artist who has not just been advancing with the times, but often even ahead of her time. In the 1970s, Americans of “The Me Decade” experienced significant changes in attitudes. On one hand, the United States suffered an economic recession, the unemployment rate hit a new high and triggered various social crises. On the other hand, the civil rights and feminist movements from 1960s continued to grow and became more mainstream. Individual liberation and rebellion against authority became key themes in the 1970s, and Americans sought a new individualism through the new perspectives on religious beliefs, pop culture, gender and identity. This exhibition will showcase Lynn Hershman ’s representative and critical series of works of Roberta Breitmore in 1973-1978. The works examine the relationship between individuals’ “real” and “virtual” identities – a topic that is still very much relevant in this day and age of consumerism; when issues such as Facebook’s data breach and mass surveillance in everyday life forces us to reevaluate the balance between privacy, security, and convenience; and an environment where technology is increasingly intertwined with our lives. 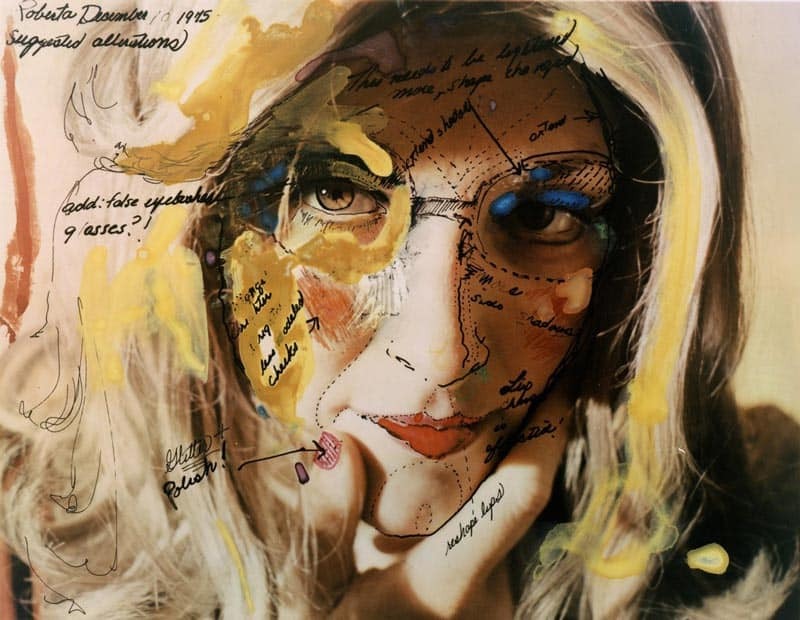 Lynn Hershman constantly pushed the boundaries of institutionally sanctioned forms, mediums, and subjects, creating a unique context and surrogate personas for herself. The notion of identity is as much a socially constructed one as a psychological one; the individualised form of existence of Roberta Breitmore is determined through her public persona and social interactions, such as her rental advertisements in newspaper, correspondence with doctor, dating with different men, all of which were under constant close surveillance. Though Lynn Hershman began her artistic practice in an era when smart phones, artificial intelligence, and big data seemed like a futuristic fantasy, her work anticipates a visualised world in which interactive networking and privacy monitoring become dominant drivers in everyday life. In theory, today people can construct and adopt various virtual personas on the Internet, but at the same time, we are policed by biometric security procedures and cyber-surveillance and are constantly required to prove our ‘real’ identities. This can be regarded as a reinterpretation of the artist’s alter ego Roberta Breitmore in today’s context. Lynn Hershman’s works redefined the nature of human identity in the Information Age, as she depicted, each individual is a “simulated person who interacts with real life in real time”. American artist Lynn Hershman (b.1941) has been doing artistic practice for more than 50 years and internationally acclaimed for her art and films. As one of the earliest new media vanguard artists, Lynn Hershman is widely recognised for her innovative work investigating issues that are now recognised as key to the workings of society: the relationship between humans and technology, identity, surveillance, and the use of media as a tool of empowerment against censorship and political repression. Over the decades, she has made pioneering contributions to the fields of photography, video, film, performance, installation and interactive as well as net-based media art. Her recent solo exhibitions include: “Civic Radar”, Yerba Buena Center for the Arts, U.S.A. (2017); “Cyborgs and Self-Promotion”, Cleveland Museum of Art, U.S.A.(2016); “The Liquid Identities”, Lehmbruck Museum, Germany (2016); Origin of the Species (Part 2), Modern Art Oxford, U.K. (2015); “Civic Radar”, ZKM | Museum of Contemporary Art, Germany (2014); “The Agent Ruby Files”, San Francisco Museum of Modern Art, U.S.A.(2013); “Me as Roberta”, Museum of Contemporary Art, Krakow, Poland (2012); “Investigations”, Katherine E. Nash Gallery, University of Minnesota, U.S.A. (2011); “The Complete Roberta Breitmore”, Whitworth Art Gallery, University of Manchester, U.K. (2009). Recent group exhibitions include: “Post-war- Art between the Pacific and Atlantic”, Haus Der Kunst, Germany (2016); “Dreamlands: Immersive Cinema and Art 1905-2016”, Whitney Museum, U.S.A(2016); “The Campaign for Art”, San Francisco Museum of Modern Art, U.S.A.(2016); “Technologism”, Monash University Museum of Art, Australia (2015); “Pop Departures”, Seattle Art Museum, U.S.A. (2014); “Vertigo of Reality”, Academy of Art, Germany (2014); “A Bigger Splash: Painting After Performance”, Tate Modern, U.K. (2012); “Double Life”, Tate Modern, U.K. (2011); “Verbund: Held Together With Water“, Istanbul Museum of Modern Art, Turkey (2008). Her work has been shown in over 200 large-scale exhibitions throughout the world and is featured in the public collections of the Museum of Modern Art (New York, U.S.A), Tate Modern (London, U.K.), Lehmbruck Museum (Duisberg, Germany), Los Angeles County Museum of Contemporary Art (California, U.S.A), National Gallery of Canada (Ottawa, Canada), Walker Art Centre (Minneapolis, U.S.A), Whitworth Art Gallery (Manchester, U.K.), ZKM | Centre for Art and Media (Karlsruhe, Germany), Berkeley Art Museum (California, U.S.A).